WASHINGTON — The controversies surrounding President Donald Trump’s pick to take over the Department of Veterans Affairs have not only thrown the agency’s leadership into disarray but also threaten to undo years of work by previous officials to try and rehabilitate the massive bureaucracy’s public image. And unlike past scandals, the negative attention surrounding this one has little to do with the department’s operations or outreach to veterans. This week, Senate officials postponed the confirmation hearing of Rear Adm. Ronny Jackson to become the next VA secretary amid allegations of leadership failures, on-the-job drinking and employee harassment while serving as White House physician and in that medical office. 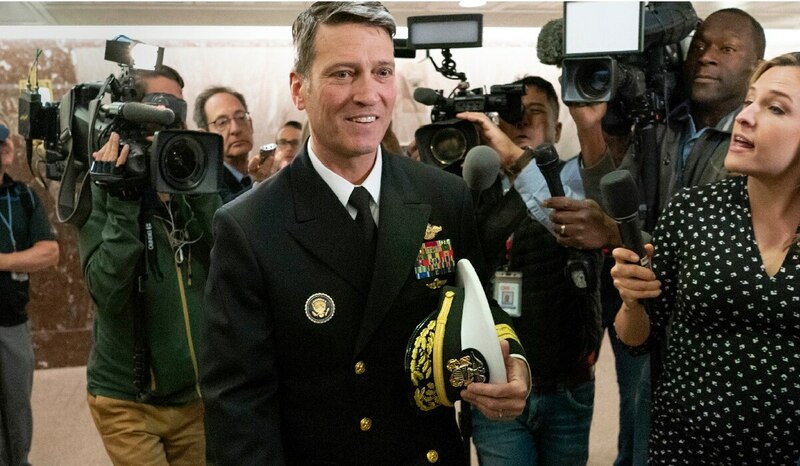 Jackson has denied the allegations, and Trump has said he will stand by the 23-year naval officer if he decides to remain in the confirmation process. 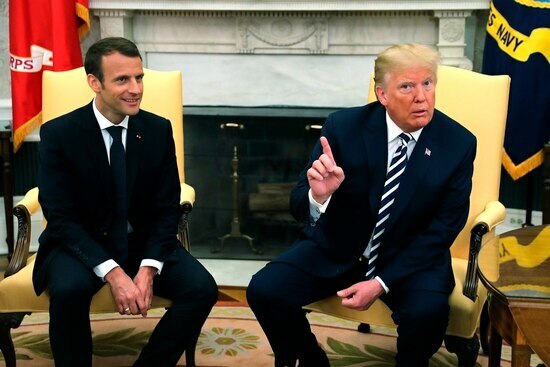 But Trump also said at a news conference on Tuesday that he wouldn’t go through the process for the Cabinet post — calling it a “too ugly and too disgusting” political gauntlet — and said the department is so large that “nobody has the experience” to be ready to run it. Those comments run contrary to advocates’ message that VA is not a behemoth that cannot be controlled, but instead a sprawling federal system in need of stable leadership to repair problems and modernize the aging infrastructure. Since 2014, when then-VA Secretary Eric Shinseki was forced to resign following a department-wide scandal involving forged medical appointment wait times, department administrators and lawmakers have worked to balance their reform agendas with public relations duties. In their view, a large part of fixing the department included restoring public trust in the institution. Roughly 9 million veterans rely on the VA medical system for health care, and millions more veterans and dependents receive critical benefits support every month. Supporters argue that while the system has shortcomings, too often they are emphasized over the public service of the 375,000-plus employees in the system. Shinseki’s replacement, VA Secretary Bob McDonald, and his top deputy, Sloan Gibson, made that idea key talking point in nearly every public appearance after McDonald took office in August 2014. Part of McDonald’s standard stump speech included listing a host of medical innovations spearheaded by VA researchers, including the cardiac pacemaker and nicotine patch. Their successor, VA Secretary David Shulkin, also made that theme a recurring part of his tenure, even as President Donald Trump repeatedly called the department a “disaster.” Shulkin often referred to VA as a system that needed to be reformed to live up to the promises owed to the country’s veterans. Part of the push by McDonald and Shulkin was pragmatic. 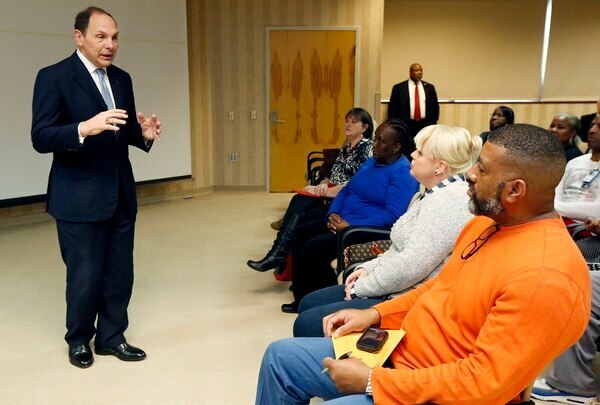 Both men acknowledged that VA has had difficulty recruiting and retaining workers in recent years because of a public perception of trouble within the department, even as VA administrators insisted that veterans’ satisfaction with services was on the rise. And part of the push has to do with funding. While the department’s budget has risen steadily over the last two decades — nearly quadrupling from 2001 to next year’s nearly $200 billion fiscal 2019 proposal — it has also increasingly come under attack from lawmakers who question whether the money is simply propping up a failing health care system. 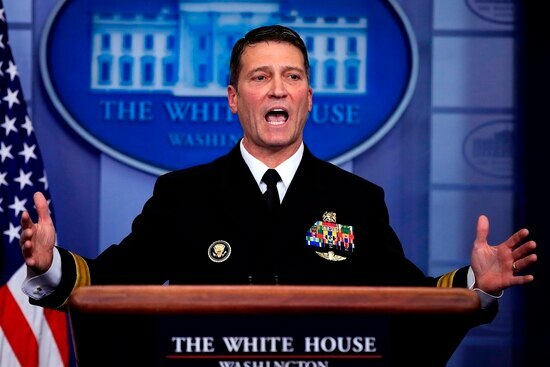 Now, Jackson’s damaged candidacy to take over VA’s top job threatens to add to that damaged image, even though his scandal appears to stem from background vetting issues in the White House and no actual VA programming. “No matter whether these allegations against Dr. Jackson prove true or false, whether they continue to delay his confirmation indefinitely or sink it altogether, it’s the latest in a chain of unforced errors for which veterans are continuing to pay the price,” AMVETS National Executive Director Joe Chenelly said in a statement Tuesday. Officials at the American Legion called VA “a physical reminder of our nation’s promises to care for those who return from war injured or ill” and noted significant progress in recent years (both under Trump and former President Barack Obama) in reforming the department. In a CNN interview Tuesday night, Senate Veterans’ Affairs Committee ranking member Jon Tester, D-Mont., said VA has “a morale problem” due to the negative press of recent years, and he worries that Jackson’s embattled nomination will only compound that issue. He said he hopes to find resolution to the issue soon.